Thermal Imaging is a noninvasive means in which to maintain a preventative / predictive maintenance plan in the home and business. Heat Seekers can find defects in electrical components and systems before serious problems arise. Alongside a Master Electrician, a Heat Seekers electrical inspector will provide an accurate report of any temperature anomalies or thermal stresses on your electrical equipment. Using a thermal camera, will undertake the necessary infrared tests to detect any overloading or excess heat in wiring systems. ​During the electrical inspection, we carefully and precisely measure the temperature and condition of your electrical system. This inspection not only reduces the risk of a serious electrical incident, but also helps improve system performance. Excess heat in electrical systems is a serious warning sign, and detecting these issues before they become problems is only possible with a thermal camera. It’s our mission to provide the highest quality thermographic surveys to every customer irrespective of location or size. In the electrical industry failure can be very expensive. That’s why infrared thermography has become essential for managing electrical risk in many businesses around New Zealand for insurance compliance and preventable maintenance scheduling. 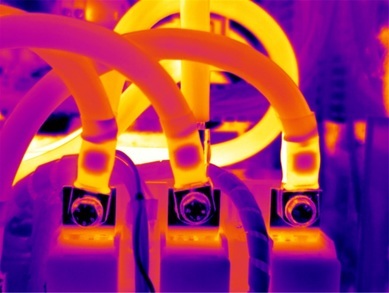 Infrared thermography plays a vital role in identifying a wide range of problems in your electrical system including: poor connection, load imbalances, overloaded circuits, faulty or improperly installed components. Full periodic verification reports are also available. Depending on access and number of locations surveyed. The size of the boards and amount of anomalies found our Thermal Imaging Inspections start from $450+. You may not know – but many problems can be fixed on the spot. This offers significant time and cost savings. Few investments have the substantial ROI as an infrared electrical survey. We provide an independent report with no vested interest in finding or hiding problems - only a commitment to a professional Thermal Imaging service. Contact us here to find out more.